A portal is like a gate or an entrance to something. 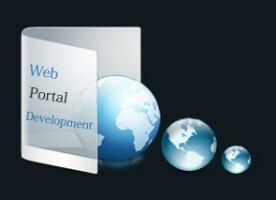 Similarly, a web portal is the entrance or gate to many services and facilities of web. Its like, one portal contains a collection of varieties of information. For example, some of the web portal might contain news about entertainment, stocks, business or technology. The users will require a certain logging credential and then they can enjoy free email services, search engine and collection of various types of news. The best parts of these web portals are that they can be customized as per the user’s want. Web portal not only attracts users, but it also helps you to earn revenues. Of course, you must be confused right now. The best way to explain this point is by giving you a simple example. Few of the best web portals that are in the internet these days are AOL, MSN, Yahoo, Rediff and so on. These web portals offer email service, customization and provide varieties of information in one portal. So, how do they generate their revenue? After all, on behalf of providing all these services to the users they must be getting something in return. The answer is actually very simple. They generate their revenue by selling advertising spaces and charging membership fees for more services. If you are planning to open a web portal then you can sell some advertising spaces to earn revenues. If your web portal is very popular then you will get expensive advertisement requests quite often. A Web Portal Development Company India not only offers to build you a consumer web portal, but it also offers to build you an enterprise web portal. This portal will allow you and your employees to view documents and data and upload them to the portal. You can allow only few and authorized employees to access the whole part of the portal and allow partial access to other employees. After all, you would not want all the employees of the enterprise to view all the important and confidential documents. Now, many enterprises might be wondering why they should bother to even build an enterprise web portal. 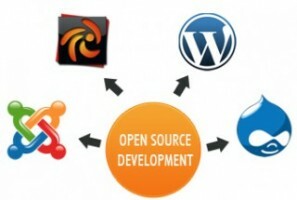 After all, contacting and asking web portal development services to build one for you can take a lot of time. The reason why you would want to go to Web Portal Development Company India is that it will help your enterprise and your employees to collaborate and communicate with each other effectively. It also helps to manage the work-flow. As Internet has been growing through leaps and bounds, web portal can help you to attract a lot of customers, earn some large amount of cash and build some collaboration and communication path between the employees. With time, the features and technology related to web portal has also been changing drastically. So, it might be best to build an updated web portal or, if you already have a web portal then you can just update it.